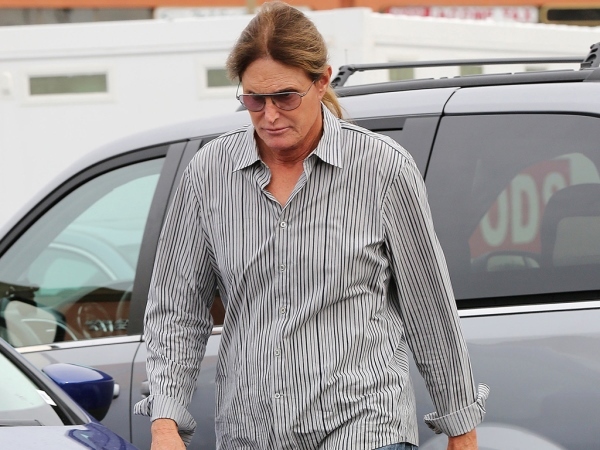 Bruce Jenner has confirmed he is transitioning into a woman. Speculation has been rife since 2013 that the former Olympian is set to change sexes, with various members of his family seemingly confirming the news. However, despite growing his hair long and being pictured wearing a dress recently, Bruce has stayed silent on the matter - until now. “People look at me differently. They see you as this 'macho male,' but my heart and my soul and everything that I do in life, it is part of me, that female side is part of me. That's who I am. "I was not genetically born that way. As of now, I have all the male parts and all that kind of stuff. So, in a lot of ways, we're different, OK, but we still identify as female. And that's very hard for Bruce Jenner to say. Because, why? I don't want to disappoint people." The explosive chat has been touted for weeks, with many eager to know the truth behind the tabloid tales. In the last few months Bruce's mother Esther and step-daughter Kim Kardashian have all commented on the speculation. Earlier this week Bruce was snapped wearing a long dress, as he stood outside his Malibu home. "I'm me. I'm a person, and this is who I am. I'm not stuck in anybody's body. It's just who I am as a human being. My brain is much more female than it is male. It's hard for people to understand that, but that's what my soul is,” he continued. Bruce (65) has been taking hormones for 18 months now, but actually began the process at the age of 40. However he stopped in the 80s over concerns for his children. Bruce, who was married to Kris Jenner for 22 years until their split in 2013, is a proud dad of six. Among his brood is model daughter Kendall, 19, and rising star Kylie (17). He's also still close to Kris' kids, especially Kim, Khloé and Kourtney Kardashian. The oldest children were told first, and then his youngest daughters and step-children were told. "Well, they all cried, mainly because they don't want anybody to hurt dad. They're very protective of me. Especially Kendall and Kylie," Bruce said. Rumours started in late 2013 when TMZ reported Bruce was having surgery to remove his Adam's apple. Kim, Khloé, Kourtney, Kendall, Kylie and Kris have all tweeted their support and pride at Bruce’s honest interview.